"Sorry, I don't really miss you." 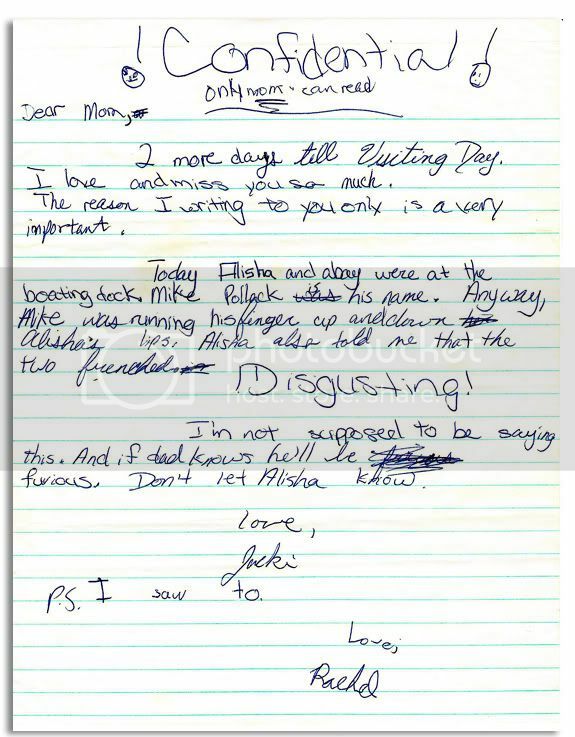 Notice how Alisha originally wanted her mother to tell her younger sister that she didn't miss her either. 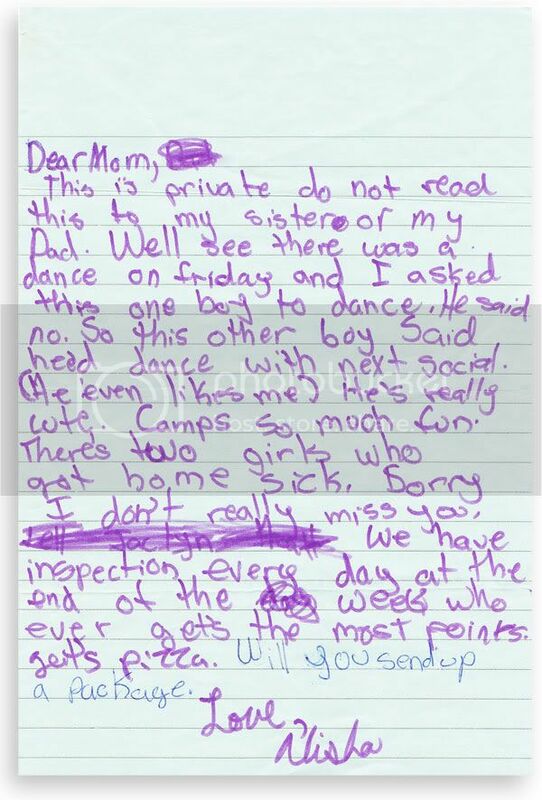 Thankfully she wised up and crossed that line out before sending this letter. 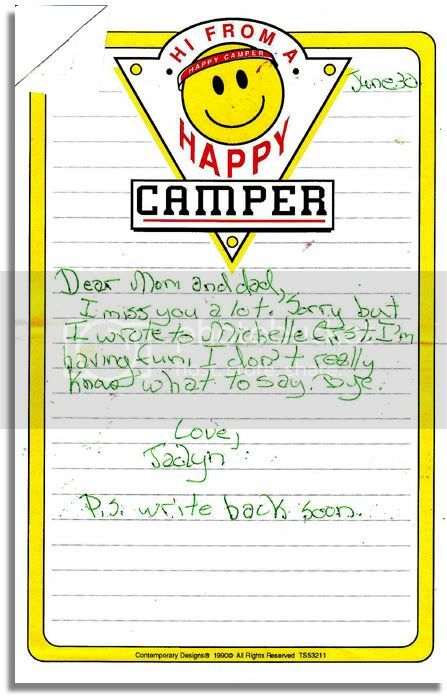 If you want your camper to respond to your letters, here's how you do it. 2. Ask a bunch of questions -- with answers -- so your camper only has to circle the responses and not actually do any work, because let's face it, they're lazy. 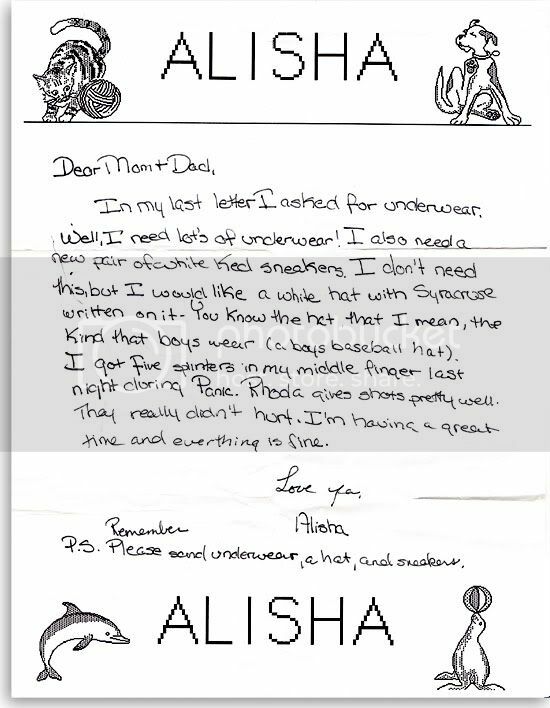 Why was Alisha going through underwear so quickly!? Also, you have to love camp infirmaries, but why did they give shots for a splinter? Typical little sister move: Catch your sister "frenching" a boy, tell your parents about it and enlist your friend to corroborate your story. Looks like this letter was confidential... until now.